Beautiful quilt! Such calm colors that sparkle! Congratulations on such a handsome little fellow too! I have three of them, much older, but still my helpers! Greetings from the Rocky Mountains of Idaho! I love finding your great blog through ALYOF. Your blue quilt is wonderful. A blue and white quilt is always a favorite, and yours is the best. I loe that center star. It doesn't overwhelm the rest of the quilt. You have balanced the various strips in an undulating way that pulls the eye around and draws it back in, just like a dance partner. Your little boy is adorable. Thanks for describing your process. I look forward to seeing your next goal! Lovely quilt!! I especially like the crosses in the outer border! Love your medallion quilt and choice of colors. I have the center of one started but it is now stuck in my pile of UFOs. Congrats on finishing your top. Beautiful quilt top. I can't wait to see what you do for the quilting. It is so stunning! Blue is my favorite color so this quilt really resonates with me. Your little one is simplly adorable too! Yukon did a great job! Congratulations on your finish! Congrats on getting ANYTHING done with a toddler around... really - I don't think I got to sew except for two retreats a year until my kids were in elementary school! I thing the scrappy-ness is just right, I like that you have some blue and some turquoise, with the white and grey. It makes it much more interesting. I agree that even with scrappy, you need to have a plan or you will end up with a mess. Good job! love this Hilary! The blues are so crisp looking, and those are such sweet pics of your little guy! I can't stress enough how much I love the blues and grays! It looks so fantastic! It is looking awesome! 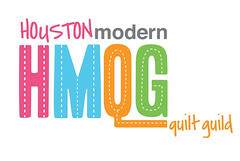 I can't wait to see how you quilt it! And I can't wait to make my own medallion quilt this year too. That is really beautiful. The grays look great with the blues! And your little guys adorable. Your medallion is absolutely stunning! Love it! Great finish...the colors look great together. Stunning! The blues are fabulous! Oh Hilary, it's stunning!! You are spot on in your fabric choices - the monochromatic is so dramatic, and that dark border is the perfect colour choice! Hi! This is so beautiful and your photos are wonderful! I love love love your quilt! The blues are divine! And that little man is cute too!